Expanded gambling in the Commonwealth is at the forefront of the public policy arena and a new reality of the political landscape. The Bishops in the Commonwealth have warned communities of the dangers of the expansion of gambling in Massachusetts for decades. These are difficult times for many families in the Commonwealth. The unemployment rate is high, many families are reliant upon state assistance, and more and more families face the harsh realities of poverty. However, the false-promise of thousands of permanent jobs is not worth the moral and societal decay that comes along with casinos and slot parlors. 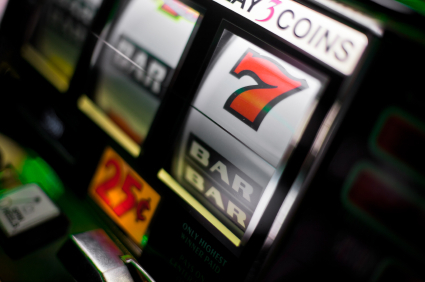 The Catholic Church does view gambling as a legitimate form of entertainment when done in moderation, the gaming industry, which will soon open the doors to three new resort-style casinos and one stand-alone slot parlor encourages debilitating addiction, not moderate entertainment. The revenues that would be realized would be a simply unstable, and would depend upon those who are addicted to gambling, many among them the most vulnerable in the state in order to realize a profit. Read Massachusetts Bishops Statement on Casino Gambling and Question 3, (pdf) September, 2014. See MCC Letter to Governor Patrick urging gambling veto, (pdf) November, 2011. See MCC Press Release, (pdf) November, 2011. See Bishops Statement (pdf) on proposed expanded gambling, 2011. See Bishops Statement (pdf) on proposed expanded gambling, 2011 (Portuguese). See Bishops Statment (pdf) on proposed expanded gambling, 2011 (Spanish). See Testimony against expanded gambling, (pdf) 2011. See Oral Testimony (pdf) against expanded gambling, 2010. See Testimony (pdf) against expanded gambling, 2009. See MCC Press Release on Governor's announcement supporting expanded gaming, (pdf) 2007. See Bishops Statement (pdf) on gambling, 2005. See Testimony on expanded gambling, (pdf) 2003. See gambling bill roll call, (pdf) 2003. See Bishop O'Malley's (Fall River) Statement (pdf) on gambling. See Bishops Statement (pdf) on gambling, 1994.